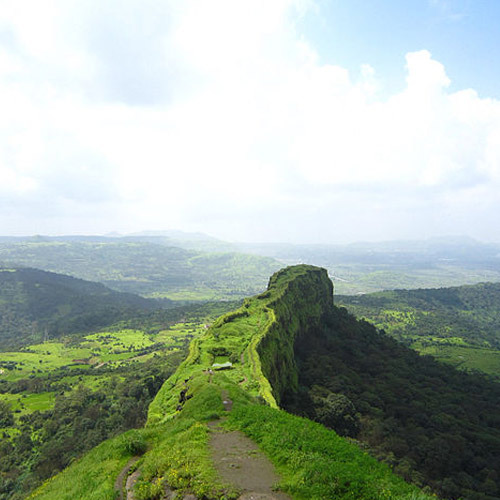 The Rajmachi trek is one of the top treks in Maharashtra. It is a high-endurance trek that will challenge adventure-seekers, and reward them with spectacular views and a fun nature escape. This trek is best in the monsoon or during firefly season, but winter Rajmachi treks are also very popular. The Rajmachi trek is one of the best trekking destinations in Maharashtra, especially in the monsoon. It is located close to Karjat, amidst the rolling hills of the Western Ghats. During the rainy season, the whole region is green and misty. Trekkers will enjoy the streams, waterfalls, and lush paddy fields that surround this trek. You can even spot crabs and fireflies along the way. The Rajmachi trek is a high-endurance trek and is suitable for experienced trekkers, or very fit first-timers. The overnight trek is a challenging one, suitable for those with some experience, or for fit beginners who can manage long stretches of walking. Rajmachi fireflies trek: Just before the monsoon begins, there is a short window of about 3 weeks, during which fireflies can be spotted at a few locations in the Western Ghats. Glowing fireflies fill the air, performing their bright mating dance in time with each other. 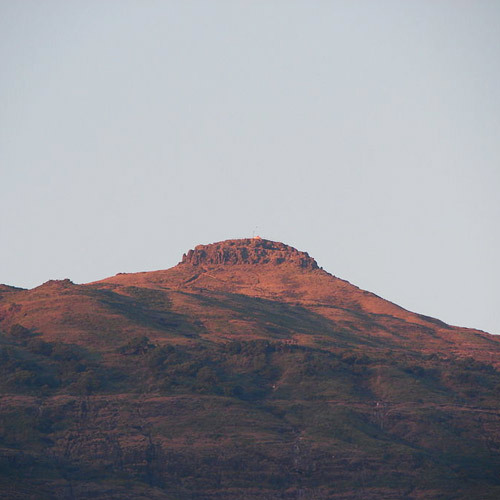 The Rajmachi night trek is a perfect chance for you to witness this rare and beautiful phenomenon. Rajmachi monsoon trek: In the rainy months, the trail is absolutely stunning. You’ll enjoy waterfalls, streams, misty views, rain-drenched forests, and plenty of splashing in puddles. 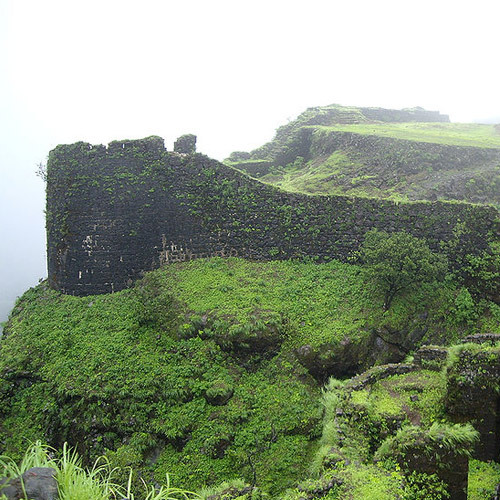 This is one of the top monsoon treks in Maharashtra. Rajmachi trek in winter: In the winter, this trek offers a firmer trail and clear views. It is very popular to go camping during this time. Rajmachi night trek and camping: You can leave in the evening and trek to Rajmachi village, where you can stay in a village home or camp in tents nearby. The next day, you’ll climb up to explore the forts and then begin your descent. This is a popular option during the summer when daytime temperatures are too warm for trekking. Some itineraries also include a visit to the nearby Kondane Caves, where some fun waterfall rappelling takes place in the monsoon. The trek usually starts from Lonavala, which is 16 kms away, or you can drive half-way and then walk the remaining 8 kms to Rajmachi Peak. The peak has two forts – Shrivardhan and Manoranjan – built by warrior-king Shivaji during the 17th century, so you’ll get to explore both. Although this can be a long trek, it is a very rewarding one, thanks to the spectacular views all around. 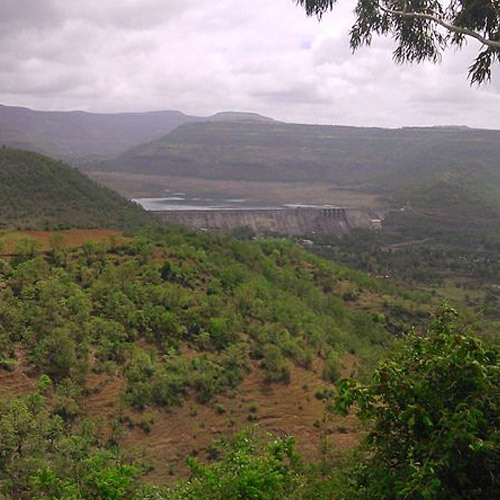 If you’re looking for treks in this area, check out our list of Top Treks near Lonavala. The monsoon is a good time to visit Rajmachi, when the entire route is covered in a blanket of green with patches of wildflowers everywhere. However, you will also enjoy the cool weather and a beautiful orange-pink sunrise if you try the night trek in summer. In winter, you should try the Rajmachi trek and camping packages to make the most of the cold weather. 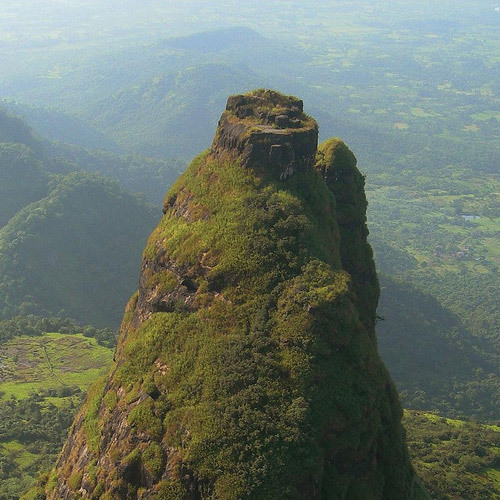 This 2 day moderate trek to Rajmachi takes you up to one of the most famous forts in Maharashtra, and gives you a chance to go wild in the rolling Sahyadris. 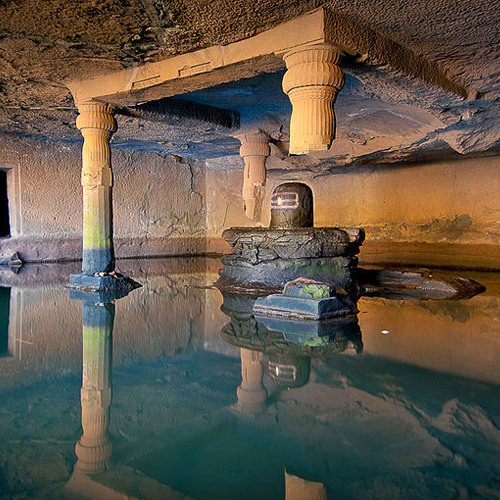 You'll climb through green forests, ramble through the moss-covered ramparts of the twin forts of Manoranjan and Shrivardhan fort, and explore the famous Kondane caves and the waterfall here. In the evening, you'll watch the sun going down over the hills, and then retire to rustic village homes for the night. You'll also go for a night walk, away from the village and to the lake nearby, while the stars shine above and the owl hoots at you. It's a great getaway for adventure-seekers from Mumbai or Pune, and will let you get your feet muddy. Any personal expenses such as soft drinks, packaged water, extra meals etc. Can beginners do the Rajmachi trek? The Rajmachi trek can be long and challenging, depending on the route and itinerary. The shorter version may be attempted by fit adventure-seekers or those with some experience, but it is not recommended for complete novices with no fitness schedule. What should I pack for the Rajmachi trek? The most important thing for a trek is to have comfortable shoes and a sturdy backpack. If you’re going in the monsoon, carry a raincoat/poncho and a raincover for your bag. Always carry sunglasses, cap, insect repellent and sunscreen in your bag, whether you’re going for a day trek or an overnight trek. You’ll find a complete packing list in our blog, What to Pack for Trekking in the Sahyadris. When should I go for the Rajmachi trek? 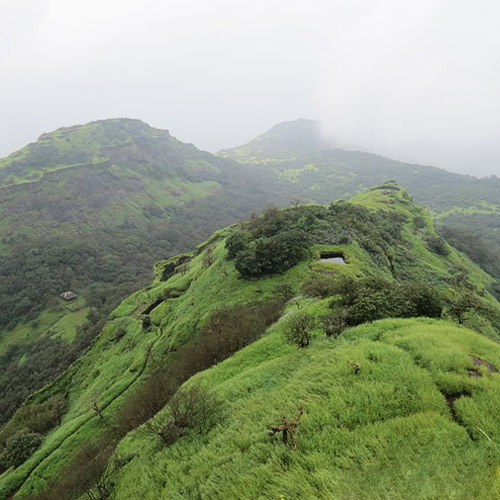 If you enjoy the rain, you should go for a monsoon trek to Rajmachi. 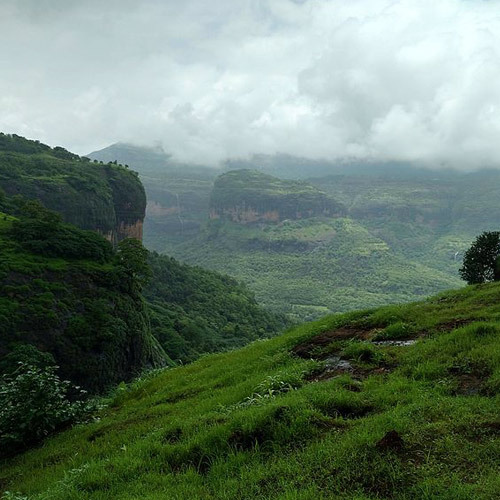 The grey rain clouds and mist are the perfect backdrop for the bright greenery of the Sahyadris. With gushing waterfalls and streams, this is one of the most scenic monsoon treks in Maharashtra. Those who love wildlife should go for a night trek or fireflies trek to witness all kinds of nocturnal animals and insects. 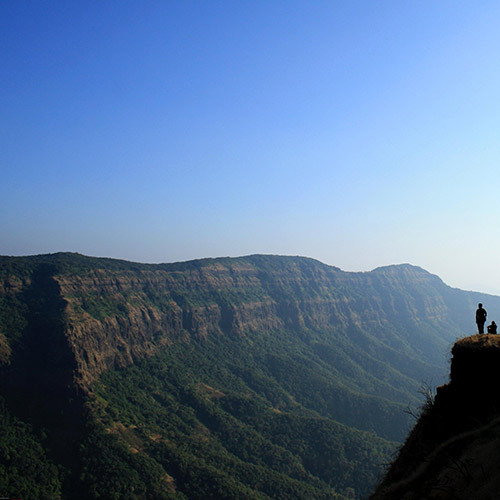 In the winter and summer, overnight treks to Rajmachi with camping or homestays offer a chance to see local life here.